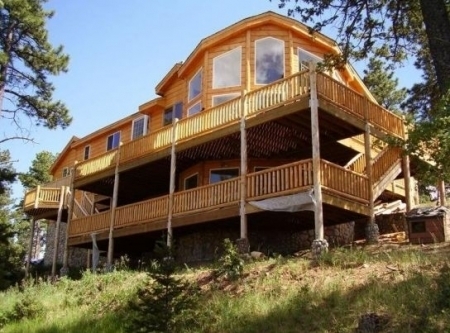 This cozy smoke-free log home boasts breathtaking views right in Denver's backyard. Its secluded location provides easy access to downtown Denver (25 minutes), Summit County ski resorts (50 minutes), Denver International Airport (40 minutes), Blackhawk/Central City gaming (45 minutes), or the Air Force Academy and Colorado Springs (75 minutes). This beautiful log home has been remodeled to serve both as our home and as a small retreat center for groups up to about 14 persons. Accommodations are in the ground level of our three-story home, with about 1700 square feet and its own private entrance. 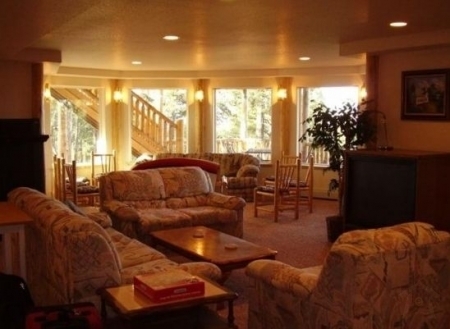 This unit offers two bedrooms, two bathrooms, a full kitchen, a large living area with wood-burning fireplace, sun room, 1200 square feet of deck, a two-level flagstone patio and a romantic gazebo. 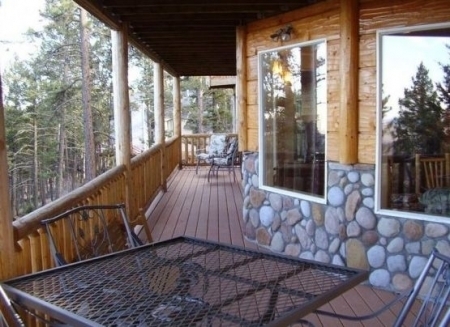 Our home can be the gateway to your dream vacation, with a wide variety of activities, including shopping, skiing, golfing, sightseeing, mountain activities, gambling, fishing or hunting. Our location and set-up makes it an ideal spot for vacations, family reunions, weddings or gatherings of small to medium-size groups.